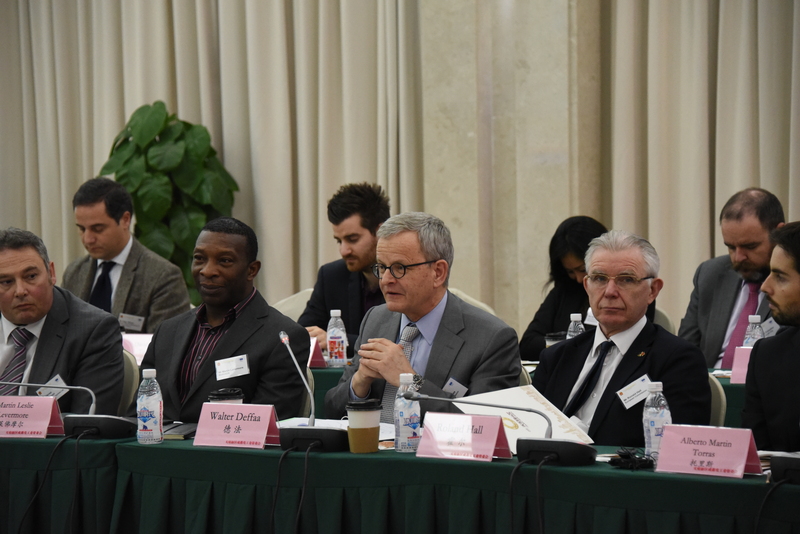 The last working visit of European delegates to China took place from for 14 – 20 March 2016. It was implemented in Chengdu and Shantou. 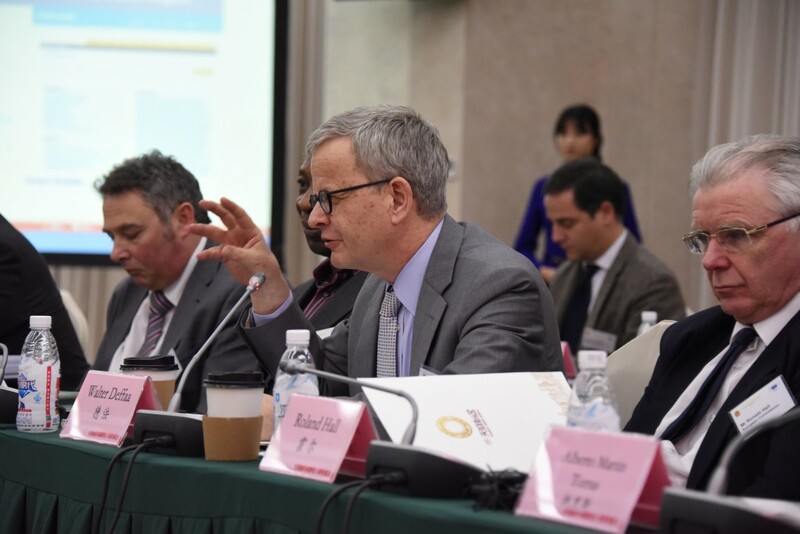 The closing conference of World Cities in Shantou included a three-day prior visit to Chengdu. The event took place from 14 – 20 March 2016 and was attended by 27 European experts of all four pilot cities. 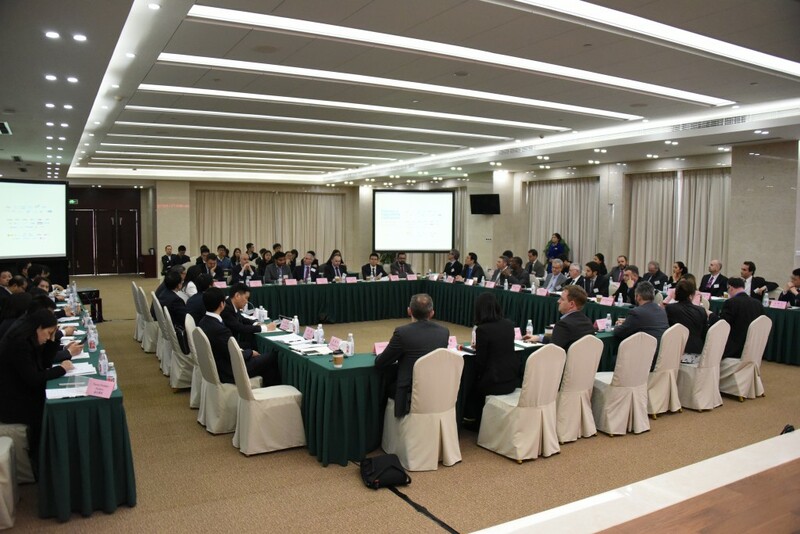 The final event in Shantou was attended by more than 100 Chinese representatives from all Chinese pilot cities. 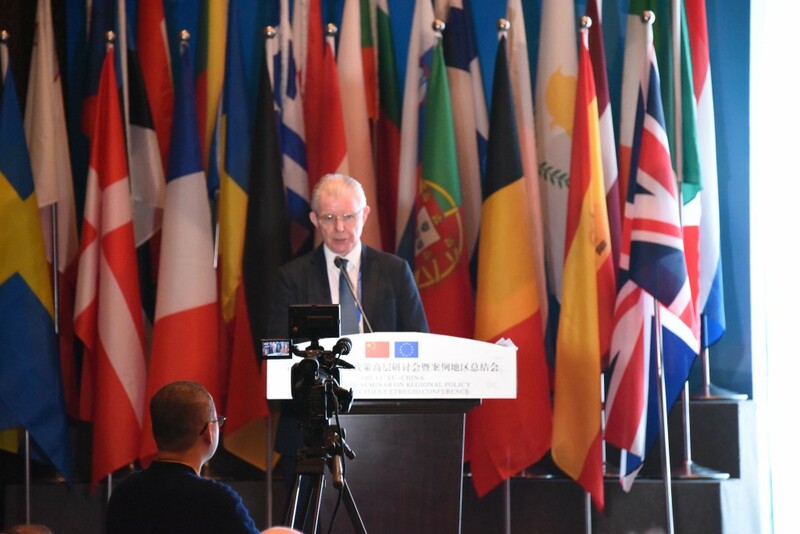 The whole event was attended by the Director General of DG REGIO, Dr Walter Deffaa, as well as by the Principal Advisor for International Relations, Dr Ronald Hall. The meetings started in Chengdu with a get-together dinner on Monday 14 March 2016, since delegates arrived with different flights from Europe. The World Cities team introduced the different experts, the supporting team and the schedule of activities. 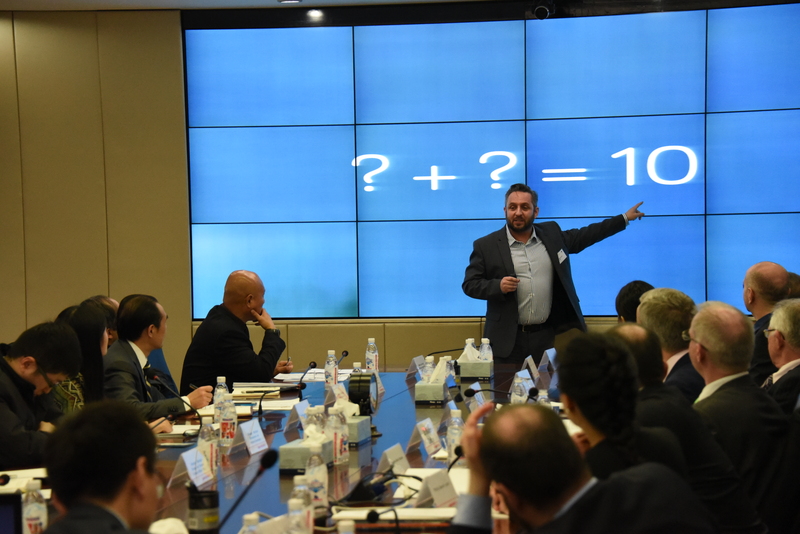 Every delegation member was then able to explain his or her background and concrete expectations for the mission. 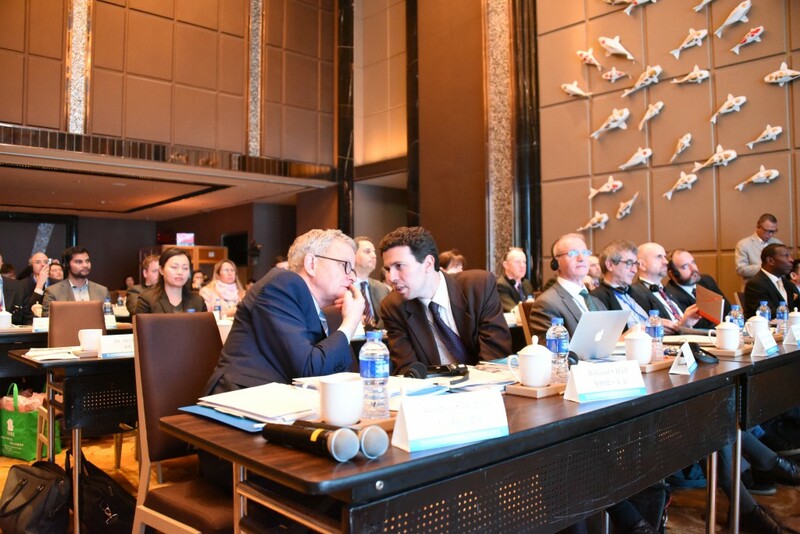 On the next day, European delegates were taken to the Chengdu planning exhibition hall. 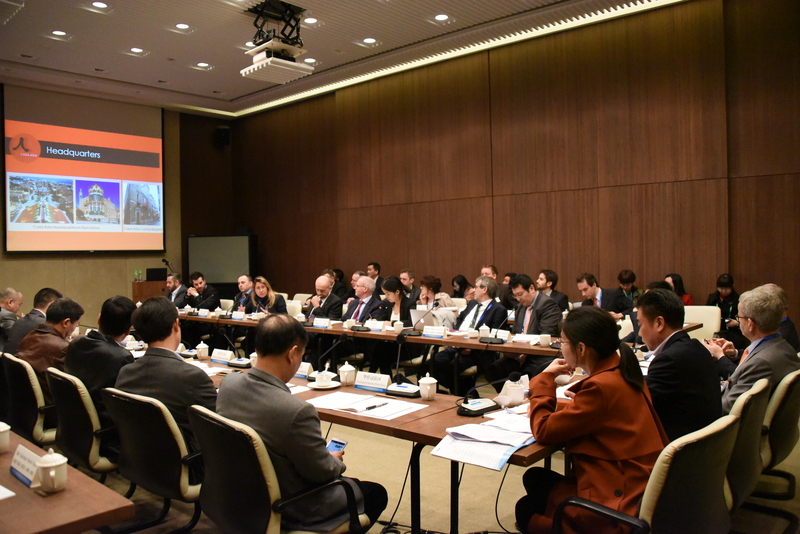 After an introduction to the city development strategy by Chengdu City Council staff, delegates met several experts from Chengdu DRC, including Ms YANG Fan (Vice Director General and Chief Engineer) and Mr HAO Huang (Division Chief). During this first face-to-face meeting Ms Yang explained that Chengdu has territory covers 12.000 km2 and has a population of 15 million inhabitants. Chengdu is a World Cultural Heritage site and has three national-level development zones. Within the next five-years-plan (2016-2021), Chengdu authorities are concentrating on upgrading industrial production and developing areas like tourism and leisure. Ms YANG introduced experts from Chengdu Tourism Bureau looking for cooperation chances with European cities. The director of Chengdu’s Municipal Bureau of Exhibitions explained that the city hosted 490 exhibitions and congresses during 2015, including the Fortune Global Forum, a flagship event in Asia. 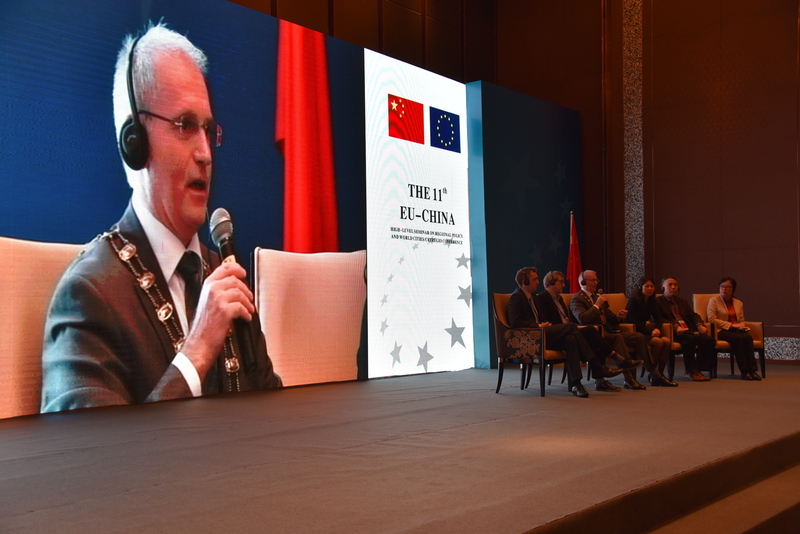 In October 2016, Chengdu will organize the 11th EU-China Technology Cooperation Fair. Also the Director of Chengdu’s Technology and Information Office explained the smart city concept of Chengdu. 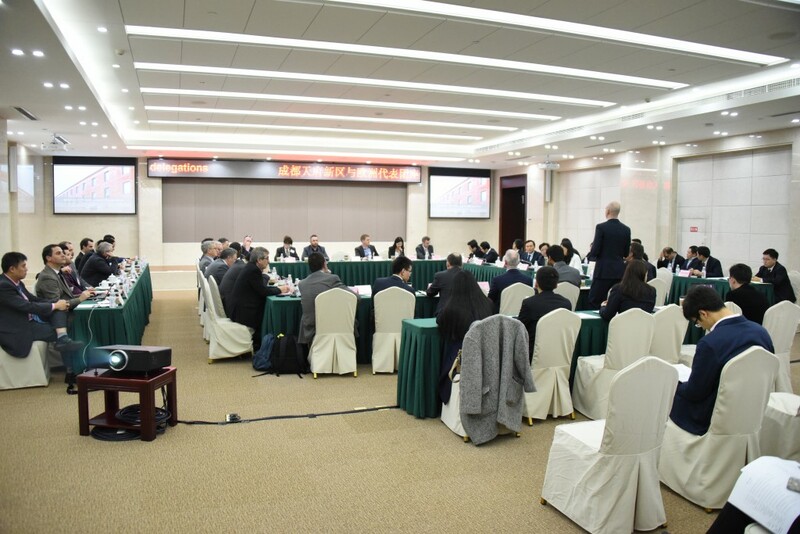 Delegates were taken to a city tour including the High Tech Zone and the Tianfu New District. After that visit, they were able to visit factories of Volkswagen and Volvo China in Chengdu. 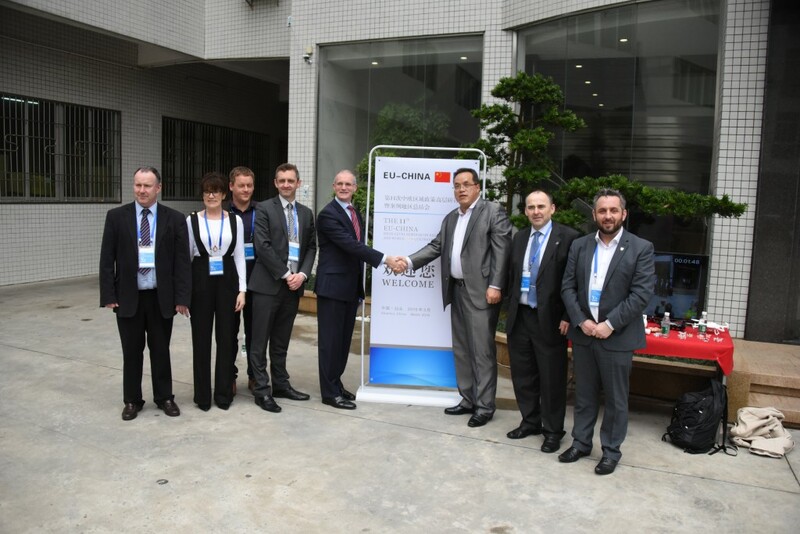 Highlight of the visit to Chengdu was the signature of an MoU between Fira de Barcelona and Tianfu New District for exploring the possible implementation of the Smart City World Congress Project in Tianfu in 2017. The MoU – signed within the China-EU regional economic cooperation mechanism – specifies steps to be undertaken during the next months in order to finalize negotiations during the Smart City World Congress to take place in Barcelona in November 2016. Tianfu New Area is one of the most innovative city development in China and involves a territory of 1.578 km2. 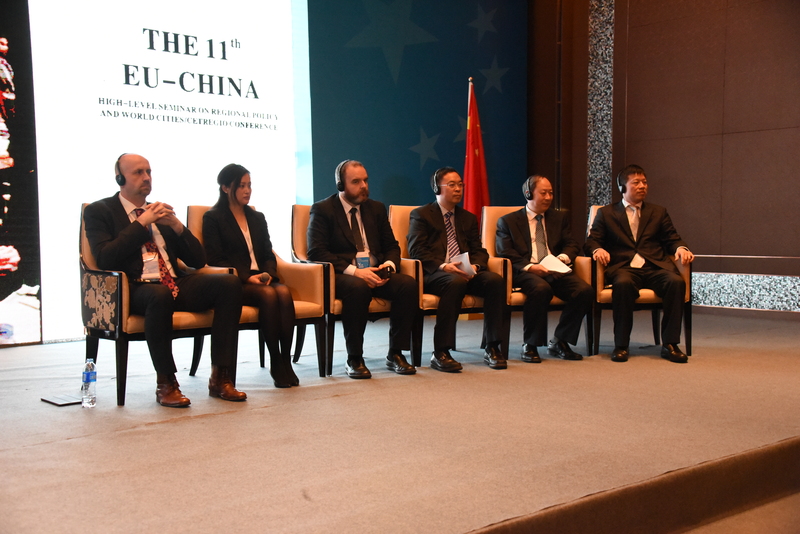 The conference in Shantou was informed of the progress made under the different pairings between the EU and Chinese cities, respectively. 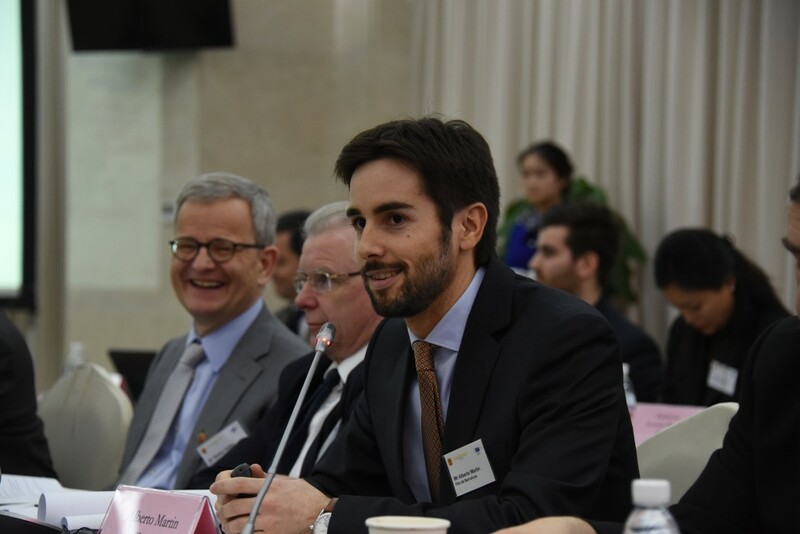 For Barcelona-Chengdu/Wuhan the focus has been on projects in the fields of smart city development, support to SMEs and innovation and academic education and research. 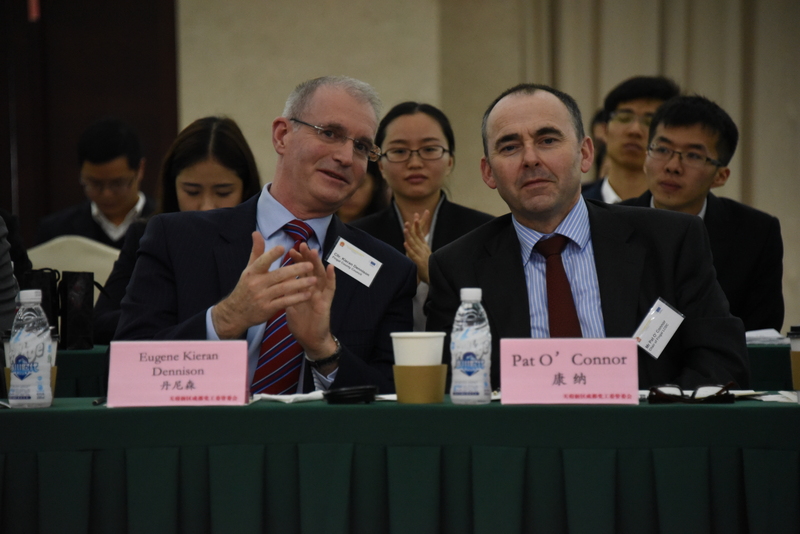 For Dublin/Fingal-Chengdu/Wuhan the key themes concern smart city development, university and research and green technology and innovation. 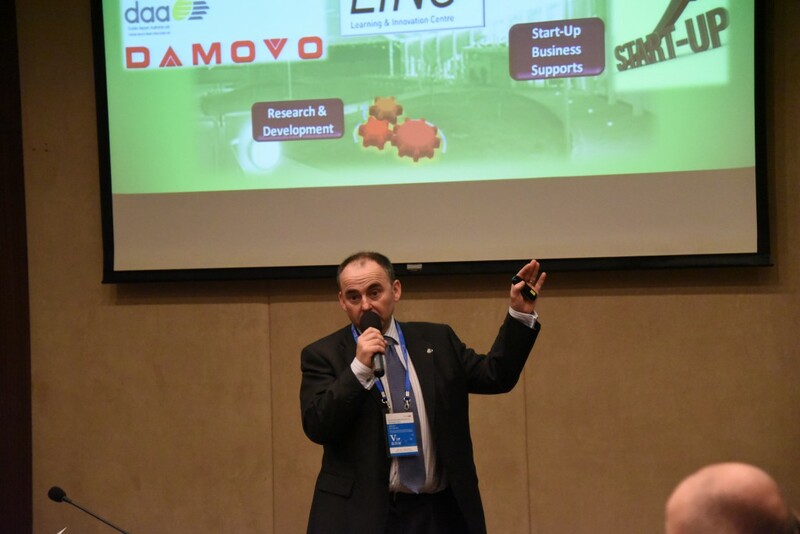 In the case of West Midlands-Tianjin/Guangzhou key themes are green technologies, infrastructure and smart cities, health care and bio-tech and the organization of a British Week within the Tianjin International Trade Fair. For Lyon-Guangzhou the exchanges cover cooperation on business start-ups, smart city technologies and cluster promotion. 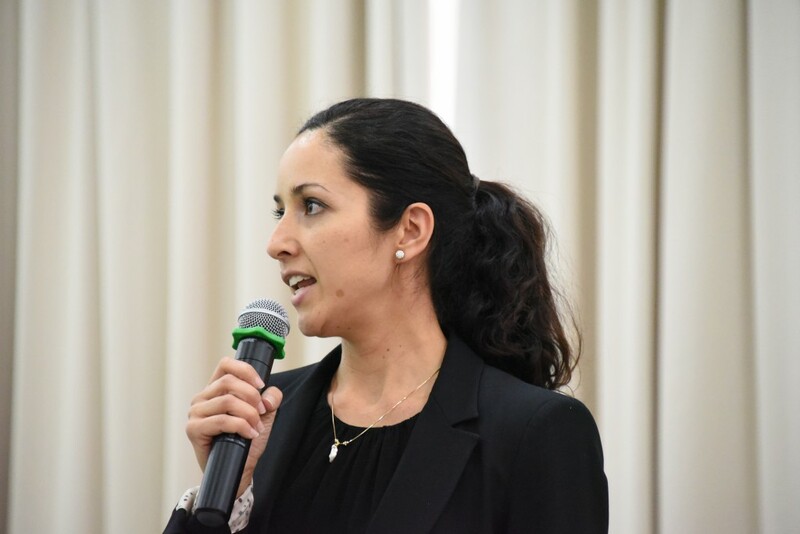 For Andalucía–Shantou, the main themes are ICT solutions, green buildings, renewable energies, urban design, cloud-based HR management and sea port development. 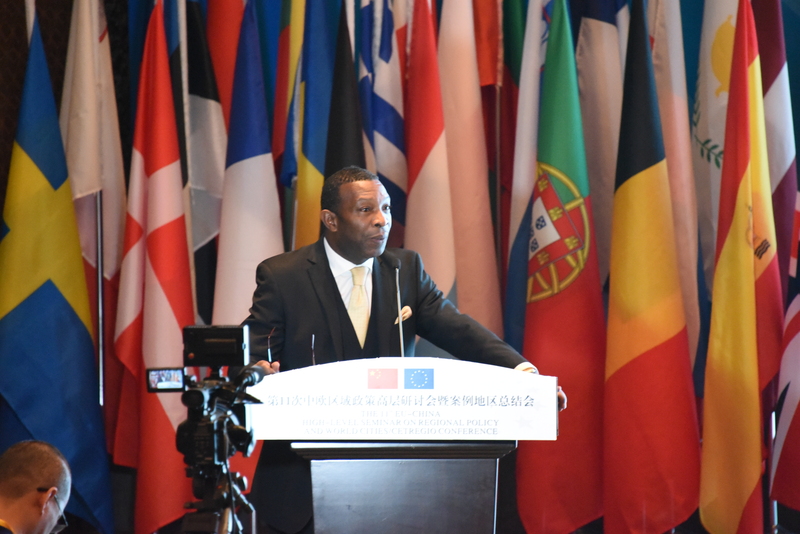 Mr Deffaa concluded his keynote speech by speaking of future prospects for EU-China cooperation. He said, “The World Cities project is being followed from this year onwards by a larger, more ambitious International Urban Cooperation Programme to bring together city and regional actors, including the private sector. It will include a specific component for EU-China exchange, and will build on the very concrete, project-centred approach that we have developed together over recent years”. For further information, please contact pgandara@world-cities.eu.